Why not show your true colors this year at prom? 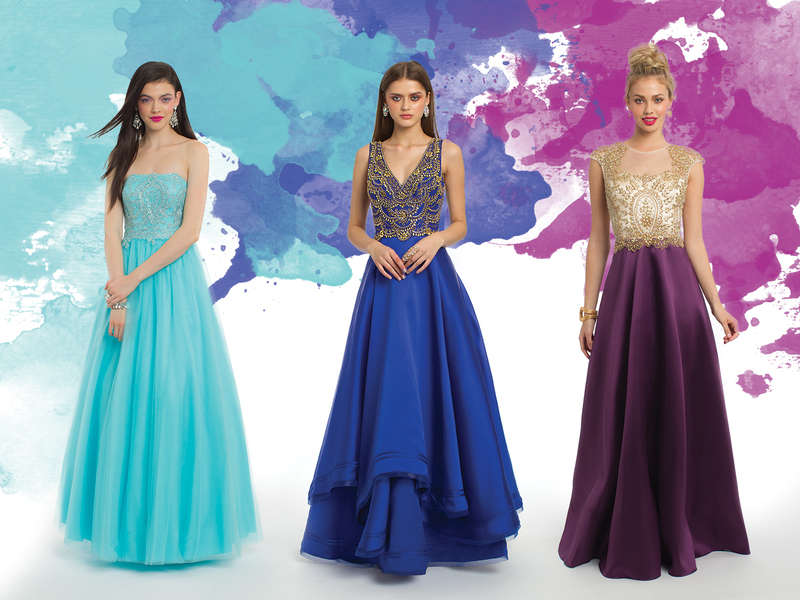 Choose your shade according to your skin tone, prom theme, or simply your favorite! Cool colors like blues, greens, and purples tend to flatter gals with fair skin tones, blue eyes, and blonde, black, or red hair. Warm shades including red, yellow or gold flatter ladies with honey-blonde or brown hair and green, hazel, or brown eyes. No really into the whole “warm tones, cool tones” rulebook? No worries, you do you! 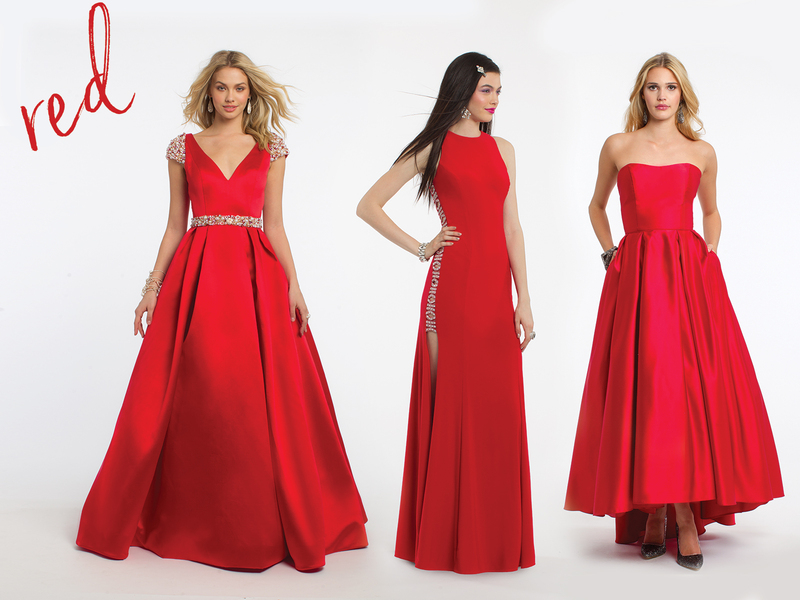 Once you narrow down your dream prom dress, feel free to complement it with any of our dazzling clutches or accessories for a flawless finishing touch. Then just slip into a pair of heels before you strut out the door; find both strappy and peep toe pumps in chic shades like gold, silver, and black within our versatile collection. Now let’s get shopping, shall we? Don’t want to limit your options? 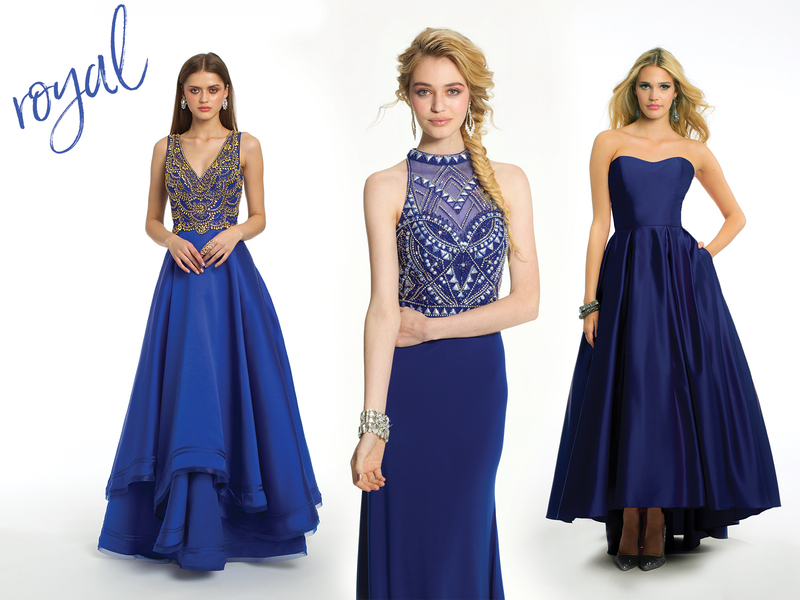 We feel you…find even more prom dresses from the Camille La Vie collection here!